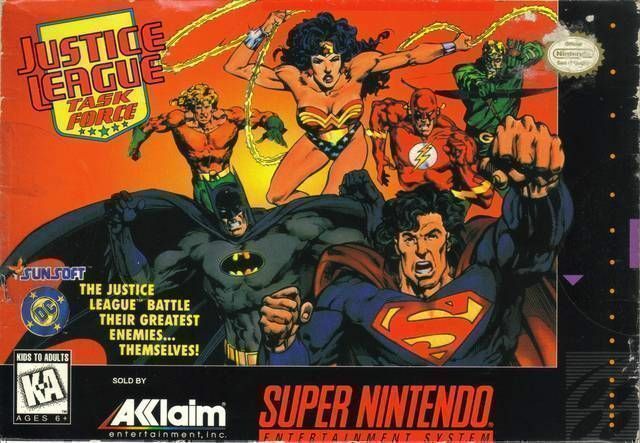 Justice League for Super Nintendo allows you to battle in a series of one-on-one fights as your favorite DC Comics superhero, or choose to fight for the forces of evil as Darkseid, Despero, or Cheetah. All of the of the characters have their signature moves. You can battle in classic settings like Gotham City, Metropolis, and Apokolips.